Magnetic Resonance Imaging (MRI) is a state-of-the-art imaging procedure that produces very detailed pictures of internal body structures. 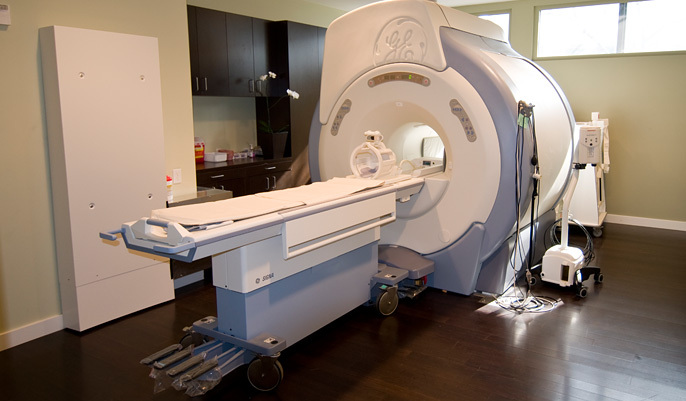 Optima Diagnostic Imaging offers an effective MRI in Los Angeles. It is used to identify tumors, neurological problems, orthopedic injuries, blood vessel flow, and other medical conditions. 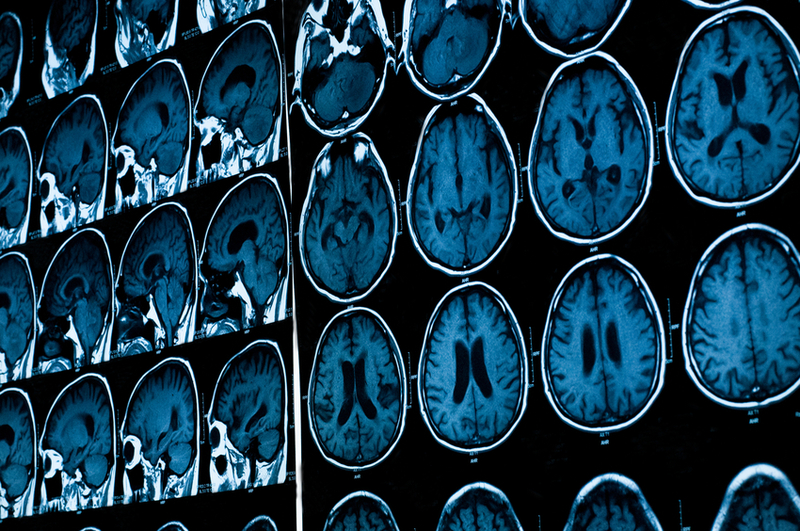 The MRI image of your brain can be used to detect and diagnose brain irregularities. Our state-of-the-art Los Angeles imaging facility's 1.5T MRI is one of the most technically advanced machines available. It is capable of producing high-resolution, digital images of any body part, including the brain, internal organs, arms, legs, and spine. The images are sent to a computer where they can be enhanced to show more detail. Before patients receive an MRI at our Los Angeles imaging facility they need to remove metal objects from their bodies, such as jewelry, dentures, and eyeglasses. Patients may receive a relaxation medication or contrast dye before the images are taken. For the imaging scan, patients are positioned on a narrow table that slides into the MRI machine. Patients are asked to remain motionless while the images are taken. MRI is a painless procedure. To date, there are no known adverse side effects of MRI. The scanner has full approval of the U.S. Food and Drug Administration (FDA). MRI images are produced using magnetic field and radio waves unlike x-ray equipment that uses radiation to obtain images. The MRI examination delivered at our Los Angeles office is generally painless and causes little or no discomfort to patients. Patients should be aware of any metal implanted inside of their body and inform the Radiologist and MRI technologist of any implants prior to being scanned at our Los Angeles office. Patients may eat regularly before an exam, and as soon as the usual 30 to 60 minute scan is completed, patients may return to their normal activities. Patients are first introduced to the technologist and any questions are answered. Patients lie on a padded table. The table will raise and automatically position patients for the exam in the tube-like cylinder. Patients are able to communicate with the technologist via an intercom system. Once in place, a radio wave is emitted which captures images of the body at various angles at one time. The release of the radio wave will create a thumping noise. 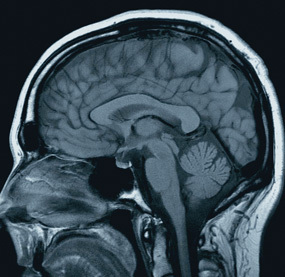 While MRI exams do not cause discomfort directly, patients with physical limitations might anticipate a problem with remaining still during the time when images are being taken. Every effort is made to keep patients comfortable during the procedure, which includes using bolsters or straps to help with positioning. The scan usually takes between 30 minutes and an hour and is done in several segments. Each segment lasts between 30 seconds and a few minutes. Between segments, patients can relax. Because of this, the majority of people receiving an MRI at our Los Angeles facility find the process to be very manageable. Patients often feel warmth where the images are being taken. This is normal and completely safe as unlike an x-ray or a CT scan, an MRI uses harmless radio frequency waves to create images. At any time patients can communicate with the technician to communicate anything that may be of concern. The actual scanning will create thumping or tapping sounds when the radio frequency pulses are turned on. Ear plugs or approved headphones can be used to muffle the sounds, which many patients find useful. Patients who are anxious about being alone in the exam room during the procedure can have someone stay in the room with them. They will need to be isolated from the magnetic environment but will be able to communicate with the patient. Children requiring an MRI in our Beverly Hills center find the facilities at ODI very accommodating to their special needs. Parents can accompany their children in the exam room where they can speak to their child and reassure them. The only thing that patients must do during the scan is to lie completely motionless. Any movement during the scanning process may blur the images, diminish the quality, and interfere with interpretation of the exam, making it necessary to repeat parts of the scan. Our Los Angeles MRI has a wider, more open bore and shorter tunnel than most MRI machines on the market. In addition, the MRI room has windows that provide views and natural light to help ease anxiety. If you are still claustrophobic, Optima Diagnostic Imaging has highly trained nurses that can administer light sedation to ease your anxiety. Because of our amenities and excellent staff, we have never had to turn any patients away due to claustrophobia. Please let us know in advance if you are claustrophobic so that we can schedule extra time with our nursing staff for your appointment. A highly trained and specialized Board Certified radiologist analyzes the images and dictates a comprehensive report. The results are relayed to the referring physician who then reviews the findings with you. The MRI center at Optima Diagnostic Imaging in Los Angeles has been awarded accreditation after a comprehensive review performed by the American College of Radiology (ACR). This certification confirms that our center meets rigorous standards for practice in this field, and provides among the best results in MRI Los Angeles has to offer.